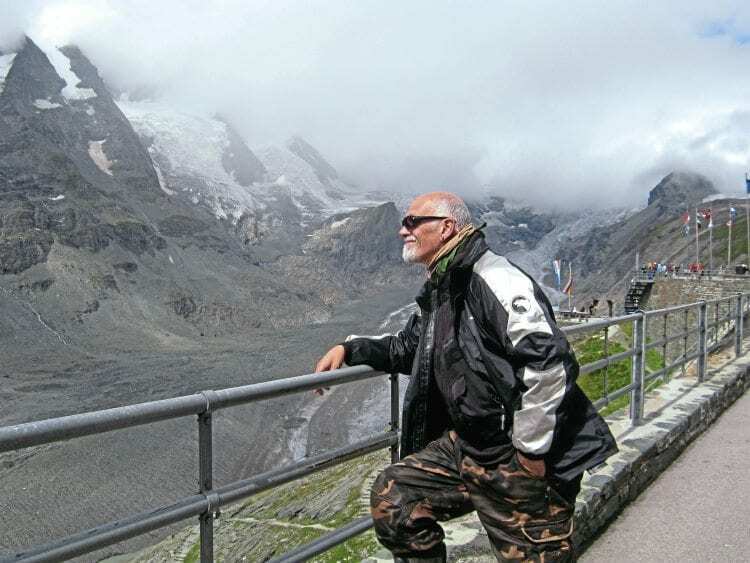 A decade ago, Dave Owen rode a Kawasaki W650 to a Croatian motorcycle rally – now he returns, on a Triumph Explorer. 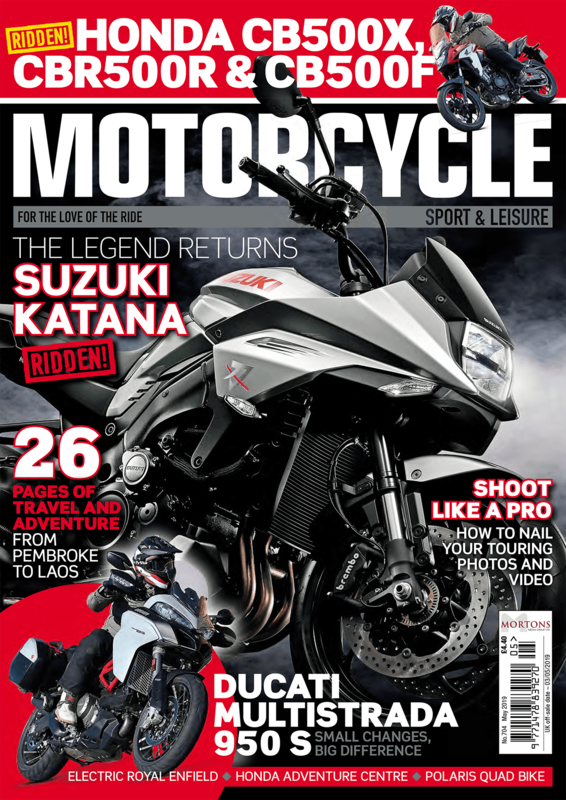 Ten years ago I made a crazy, solo seven-day, 3000-mile round trip to a rally in Croatia and wrote about it for this esteemed publication. I decided to return for the 20th Wild One Weekend near Zagreb to see if it had changed, only this time I was going the long way round, and with some riding companions. That’s why I was at Hull on board a ship awaiting departure to Rotterdam and all points east. 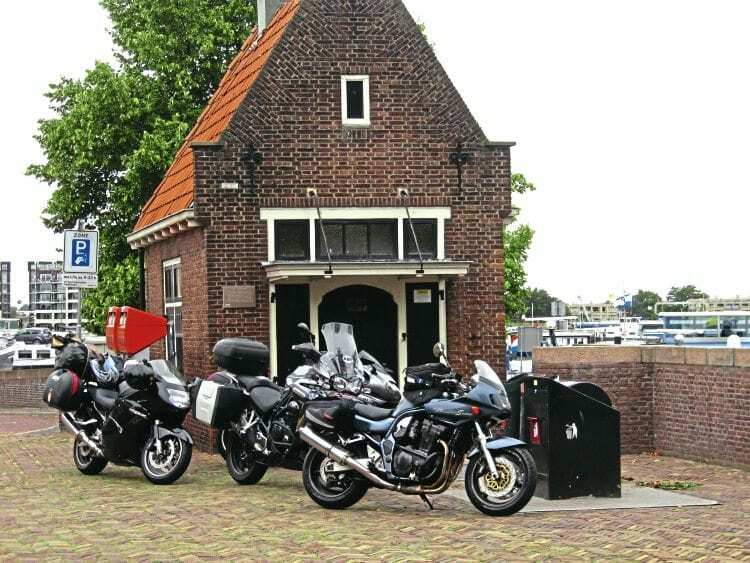 Just off teh ferry and ready to go – Blackbird, Explorer, hidden GTR and Bandit 1200S. The plan (such as it was) was for myself and Chris to ride from Sheffield to Hull to meet up with Neil, his Polish fiancé Anya, and Graham and Deeds, from Scotland. Neil (who races classic bikes in Scotland) and Anya would be in the support van, carrying camping gear, tools and supplies…. oh and Neil’s bike, which would be coming out to play at suitable times. On my last visit it took two days to get there on dull, boring auto-routes, but this time we would take in the Netherlands, Belgium, Germany, Italy, Switzerland, Austria and Slovenia to get to Croatia and return via Slovenia, Italy, France and the Netherlands. Nige and Susie’s Pan Euro took everything in its stride. 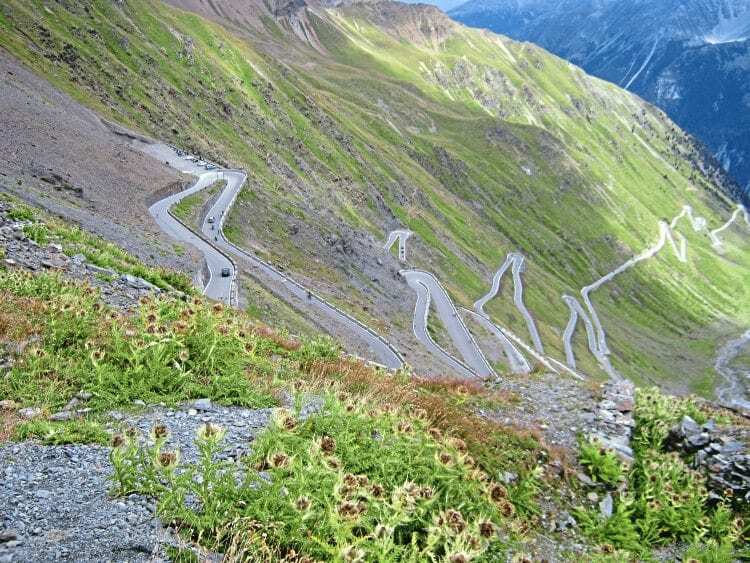 Nürburgring, the Stelvio Pass, and the Grossglockner (the highest pass in the Alps). The return trip would be a little more cultural with stays at Lake Como, Venice and Grenoble. The intention was to arrive at the rally on Friday and leave on Sunday – just like any other rally weekend. You now know as much as we did before we left. 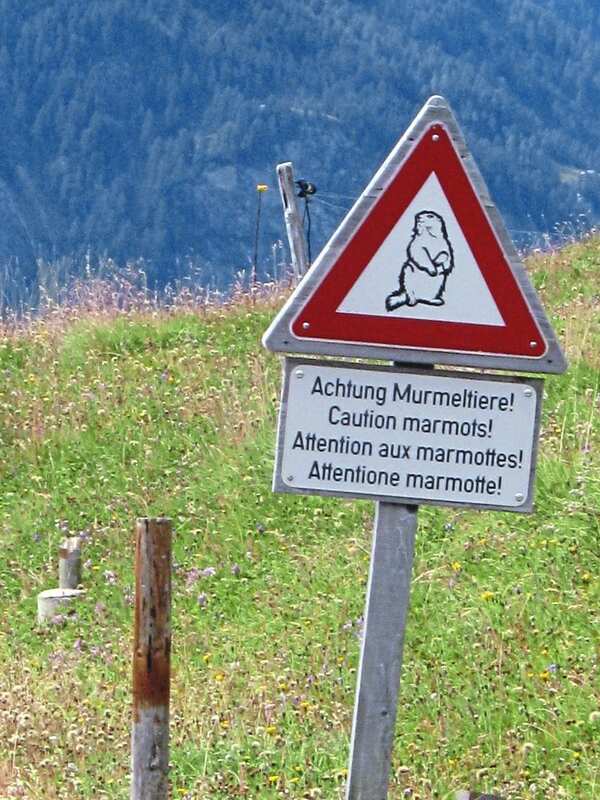 Watch out for those marmots – they’re vicious. 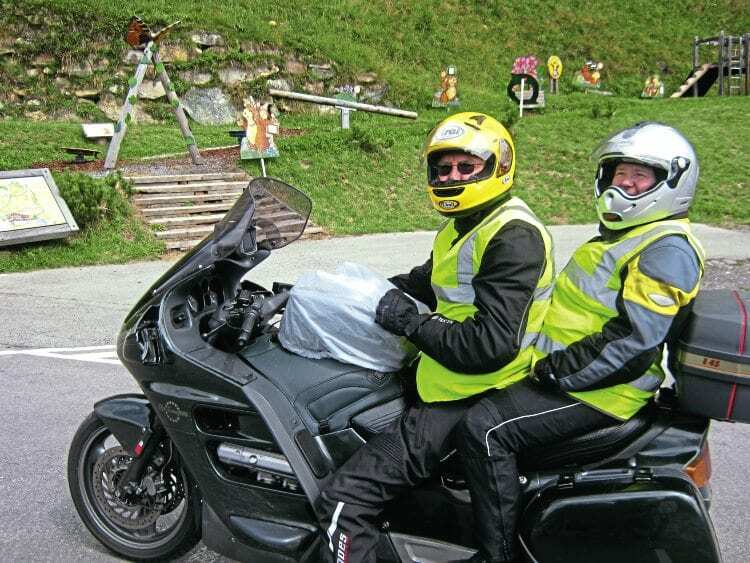 Next day, en route to the Black Forest, we rode through the beautiful Moselle Valley. Darren was particularly good on the first couple of days, always ready to alert anyone ahead if they had failed to cancel their indicators. I watched him pull alongside Graham to let him know… having left on his own flashers, so I did enjoy pulling alongside him to make exactly the same hand gestures. Black Forest is very popular with bikers, but watch out for blue Clios. 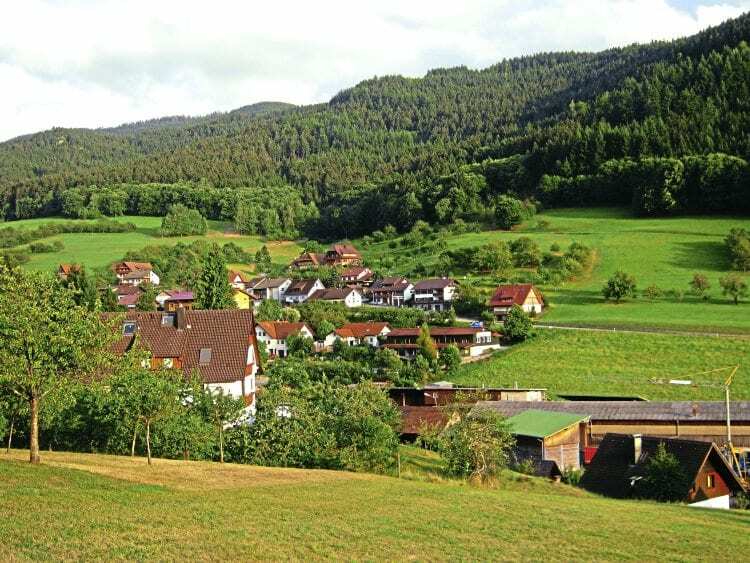 We stopped that night in the Black Forest at Pension Williams, a renowned bike venue hosting over 2000 riders per year and perfectly placed for the B500, one of Germany’s best bike roads. So good was the B500 that Neil had his bike out of the van for a pre-breakfast ride. 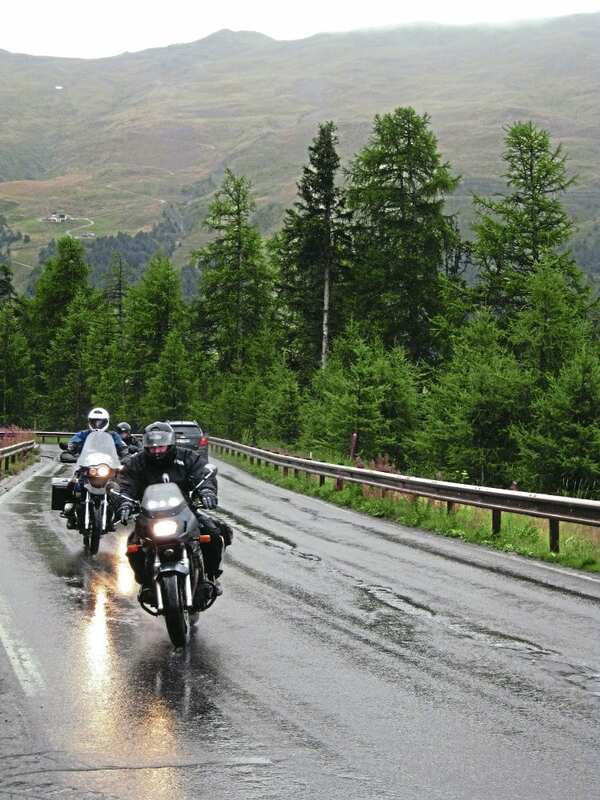 Black Forest to Zurich on that area’s renowned roads sounded exciting and it would have been… in sunshine. Sadly the weather kept changing from hot and humid to wet and miserable and back again, which was no fun crossing Zurich in the rush hour, but still we all loved the view from our tents as we looked out over the lake having been superbly fed by Darren and the barbie (or brai as he calls it). Note to self – spend as frugally as you can in Switzerland, as it’s not cheap! We woke to serious rain that had been battering the canvas all night, so after cold barbie leftovers for breakfast we set off in the wet. 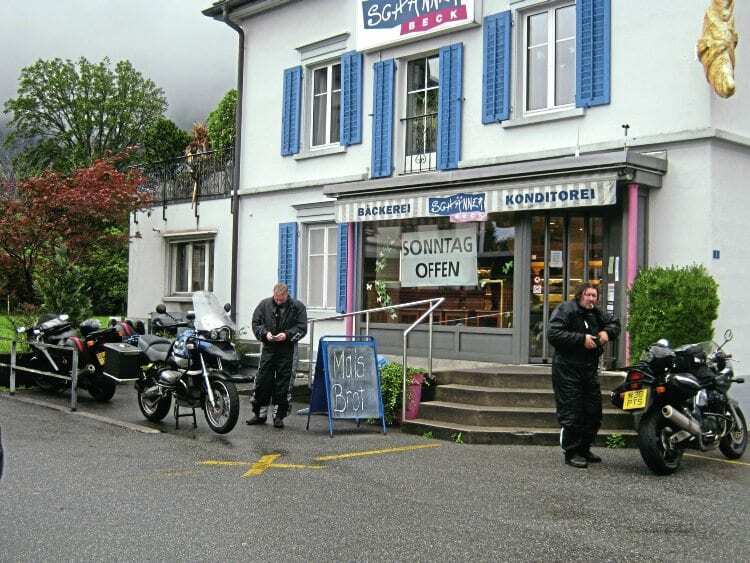 The Scots were going to meet Gogs, their man from Milan, while Nige and Suzie had left earlier due to not sleeping because of the rain, so it was just me on my Triumph Explorer and Chris for a few hours. 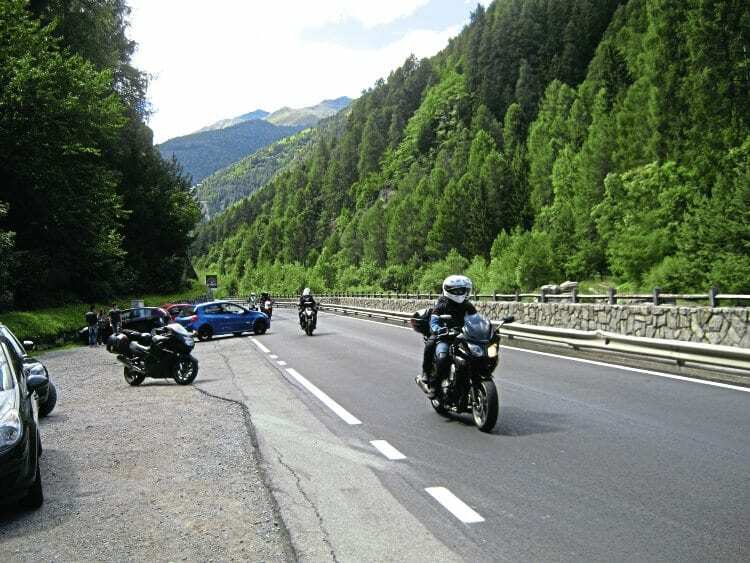 There’s never a good time to have a mechanical problem, and mine arrived at the bottom of the second hairpin-filled pass of the morning – I realised my front brake was sticking on! Imagine tackling this lot with a dodgy front brake. At the bottom of the third pass in the early afternoon, we met the Scots who knew I was coming for 15 minutes before my arrival due to my burning, squealing brakes! Now this was not good news, considering the all-day hairpins and the fact that it was still raining. I had to go back to my early riding days knowledge of old Brits when it was often engine braking and back brake only. Even without use, my front discs were HOT! Chris and I stripped and rebuilt my front brakes, and notwithstanding the popped-out piston and the need to bleed the brakes after that, by the time the Scots got back from riding the Stelvio I was ready to carry on. They didn’t want to do it again so were taking a different route, as was Neil in the van (who could blame him?). Early rising Nige and Susie were long gone so it was Chris and I that rode the Stelvio together. Still a little dubious about my brakes, I endured/enjoyed the many hairpins with a full complement of motorhomes, Tour de France lycra lovers and manic Italian bikers. Despite a 250 mile day, it turned out to be a small world – just before stopping for lunch at a popular bike stop (literally hundreds parked up) I spotted Neil and Anya loading the van at a local supermarket, then looked over the balcony only to see three Scots and a South African ride by. It was weird, considering we were all on different routes that day. Dave enjoys an ‘appreciate the mountains’ moment. 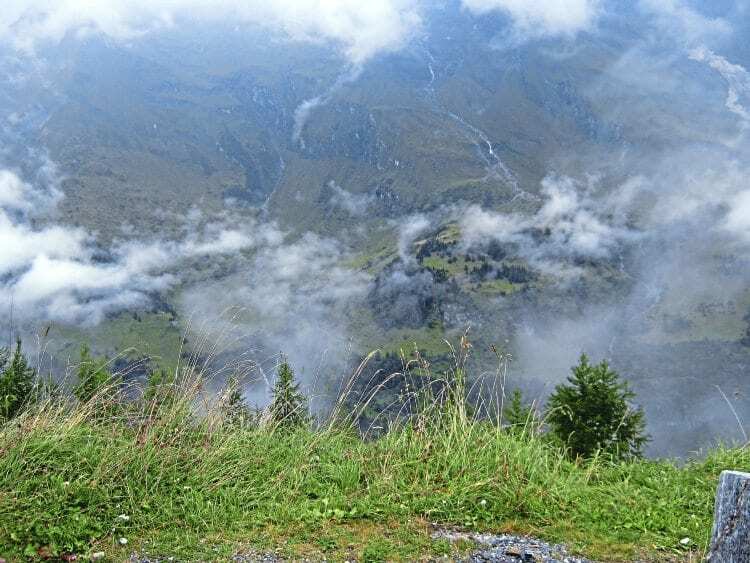 Darren and the Scots had ridden over the Grossglockner on the evening before in the mist and dark, which they didn’t enjoy. Chris, Nige, Suzie and I topped up fluids (20 euros a litre for oil!) checked over the bikes and set off. Another 22 euros got us access to the best biking road in the Alps. Fantastic views, excellent roads, wide sweeping bends and loads of photo opportunities made it a ride from heaven. Nige, who once worked for a well-known weekly and did lots of foreign road tests, called it the best day’s ride he has ever had! High praise indeed, but what about the times we rode through the jungles of South America? Sense the anticipation as the boys put on their waterproofs… again. Meanwhile, the weather was playing games again – blazing sunshine, heavy downpours, on and off with waterproofs – you know how it goes. By the time we got to the Croatian border all we wanted was to get to the rally, set up and relax. Following Chris we took the motorway past Zagreb, turned off through quiet villages and, even though the memory was 10 years old, I was sure we were close. Suddenly Chris stopped, switched off his engine and said that the sat-nay was now suggesting that we take a gravel-lined, potholed track on our right. It looked right to my 10-year-old memory so I set off. Sure enough, five minutes of circling a lake on the dodgy track and I had arrived. But where was Chris? I went back, no sign of him. Returned to the rally, met the others but still no sign. When he arrived 10 minutes later he was a little distraught at having been abandoned by me. He had stayed put for a while before finding an alternative route because his sat-nav said I had ridden off into the lake! Anyway, the end result was we were all there safe and in one piece.